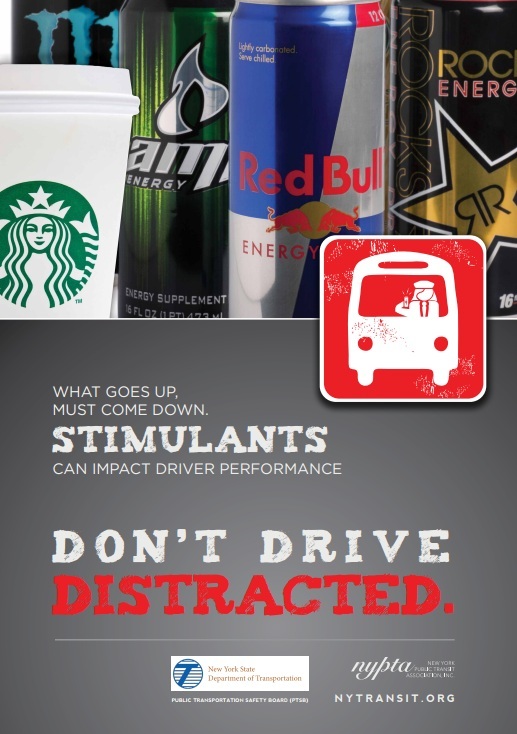 The New York Public Transit Association, Transit Training Institute (TTI) and New York State Department of Transportation, Public Transportation Safety Board (PTSB) partnered in 2012 to educate and train New York State's public transit agencies about the dangers of distracted driving as it relates to the operation of public transit vehicles through a series of distracted driving webinars. 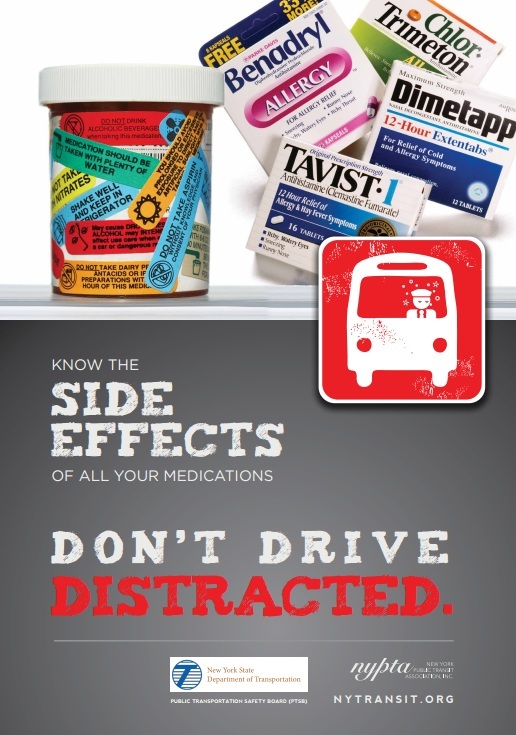 Transit operators face distraction issues every day. Distractions are anything that compete with the cognitive ability to drive safely - meaning the ability of the brain to concentrate. In addition to routine responsibilities, this includes fatigue, rowdy passengers, the side effects of medications, unnecessary conversations, or trying to maintain an overly tight schedule. There is a new global distraction problem - the use of cell phones and hand held devices for talking and texting. 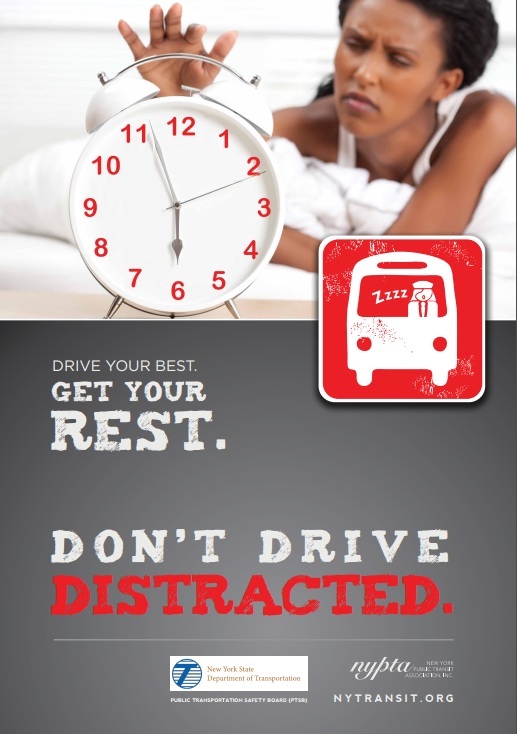 During the New York Public Transit Great Ideas Conference in September 2012, a Don't Drive Distracted campaign was launched to help benefit all transit agencies. A series of 5 dynamic posters were distributed along with an informative brochure. 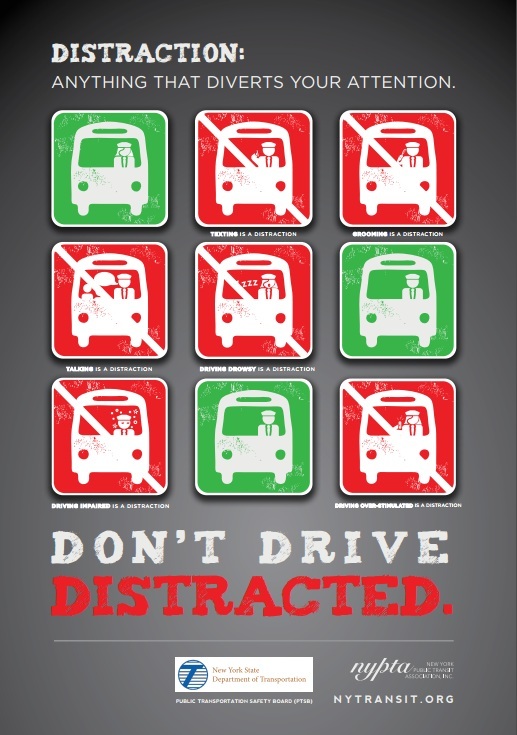 As distracted driving continues to be a concern in today's world, we will strive to do our part to tell everyone to DON'T DRIVE DISTRACTED! The statistics are sobering. Each year, approximately 400,000 people are killed and more than three million people are injured because of cell phone use and texting while driving. Vehicle crashes are the number one cause of death for people ages 1-35. Almost 80 percent of crashes and 65 percent of near-crashes happen within three seconds of some form of driver distraction. 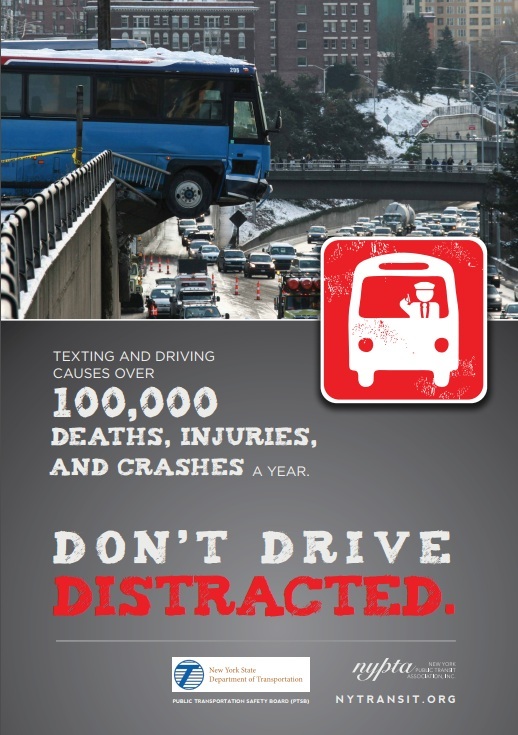 Nearly 20 percent of all distracted driving fatalities involve cell phone use.